XML-RPC is widely used technology, It works by sending a HTTP request to a server implementing the protocol. The client in that case is typically software wanting to call a single method of a remote system. In our case we will create a method which allow clients to create node through HTTP request. Fortunately Drupal 7 support XML-RPC very well, you might noticed the xmlrpc.php file in the core directory of Drupal 7 ! Anyway lets start by creating our custom module, I assume you know how to create custom module and you already created the .info file. Go and enable the new module...make sure you have no syntax error :) (i didn't test the code above actually). 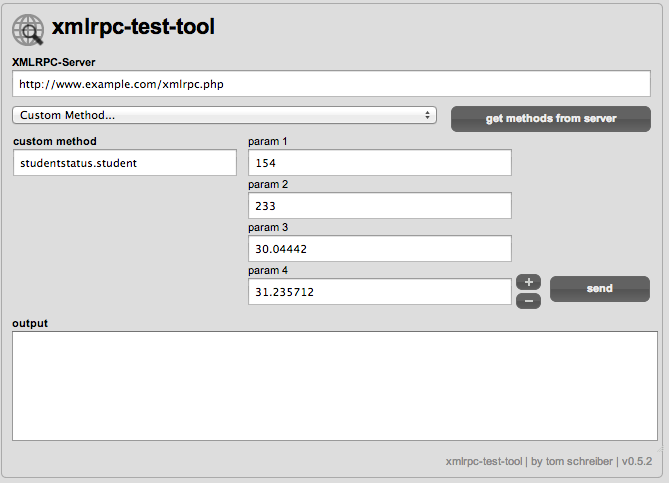 You should test the new XML-RPC method using your client but anyway i usually use http://www.tomhost.de/dev/tools/xmlrpc-tt/ tool to test the new XML-RPC methods. When you click send you must see "1" returned in the output field in the test tool. you can get back into your website and make sure that a new node has been created. It is bad practise to use ['und'] anywhere, since it's it breaks the entity/field translation system. Take a look at Entity modules metadata wrappers, they are pretty handy. However, if you NEED to use undefined language, use the LANGUAGE_NONE constant instead.